Once again, the quality and professionalism of our members made it incredibly difficult for our judges to review and score the highly-qualified 2018 Garden State Awards nominees! This year’s nominees truly exhibited commitment to our industry, efficiency in operations, philanthropy, and more. But what these nominations really illustrated was what we already know here at NJAA — our members are always putting resident satisfaction first. So, without further ado, we’re excited to announce our 2018 Garden State Awards Finalists! Click below to see the lucky individuals and companies that will move on in the competition for the chance to become a 2018 Garden State Award winner! Who will win big? And who will take home the coveted Management Company of the Year award? 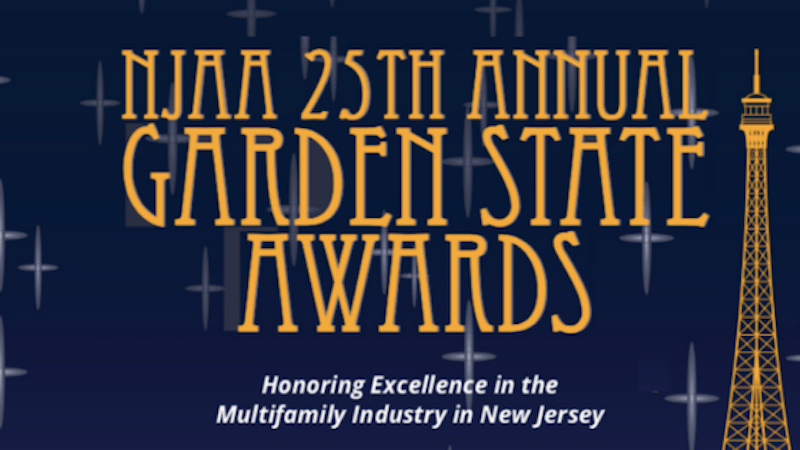 You’ll have to attend our Garden State Awards Gala on November 8 to find out! Click here to register today!